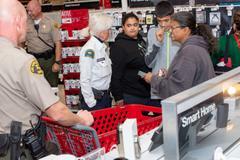 On Tuesday, December 18th, members of the Rowland Heights teams, along with additional Walnut Station personnel, partnered with the Rowland unified school district family resource center, "First General Bank" of Rowland Heights, the Diamond Bar "Target" and Diamond Bar "Chili’s" restaurant, to hold a special "Shop-with-a-Cop" event. 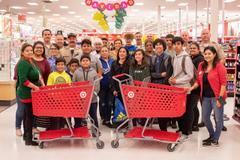 Five families were given "Target" gift cards donated by "First General Bank." 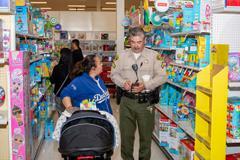 Each family shopped for their gifts alongside Walnut Station deputies and "Target" store members. 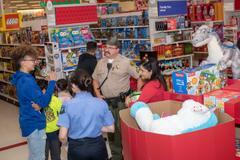 At the conclusion of shopping, the families were brought to the "Chili’s" restaurant where they were served dinner complimentary by "Chili’s" management. The evening is enjoyed by all and has grown in the number of families assisted, since the program was started seven years ago.